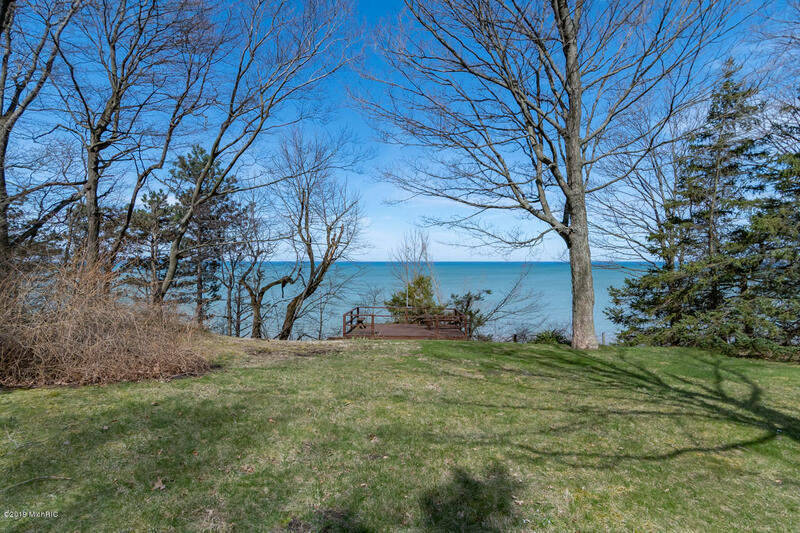 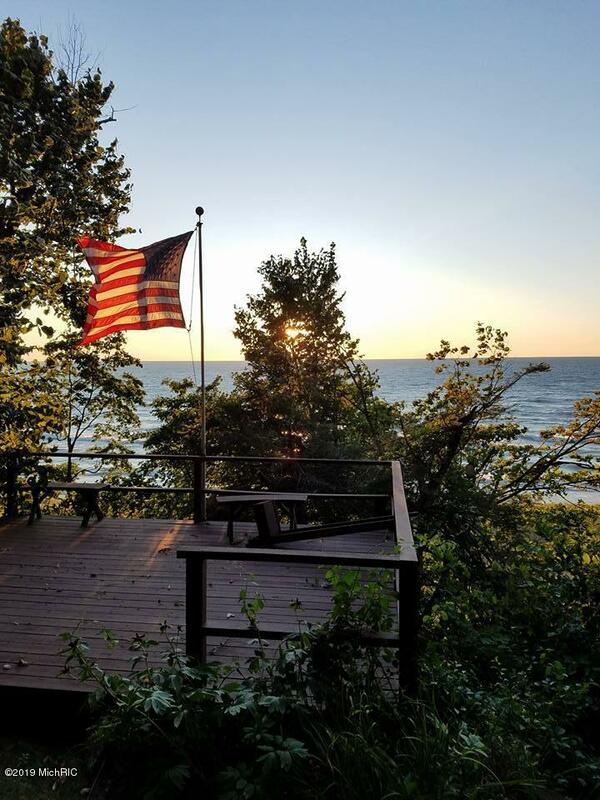 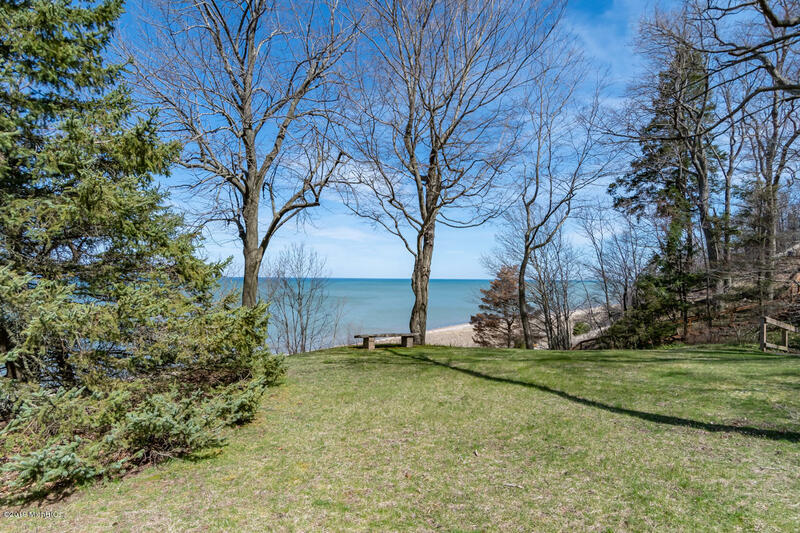 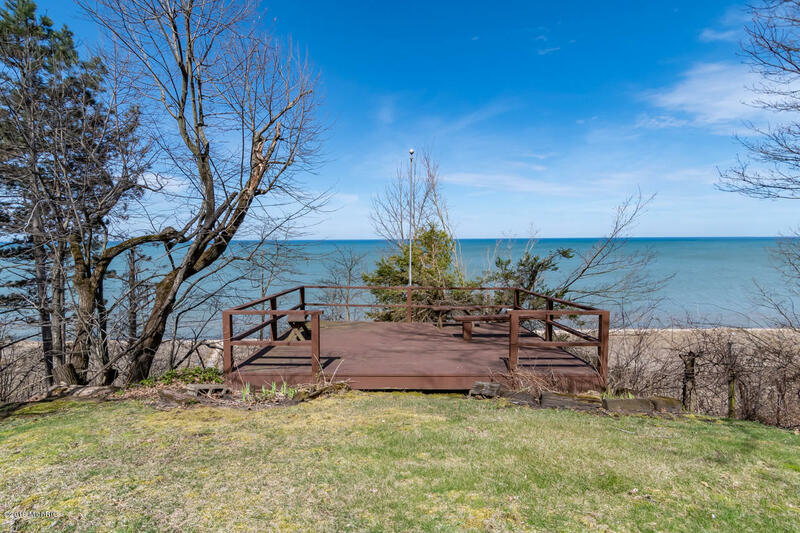 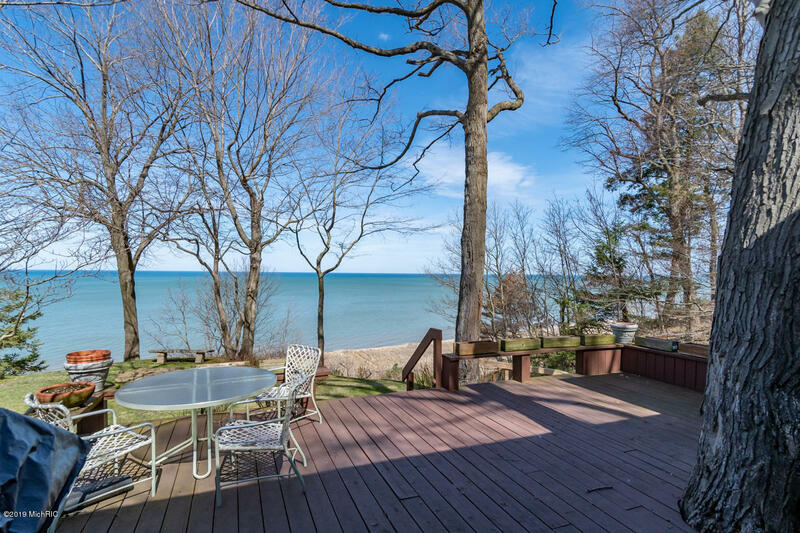 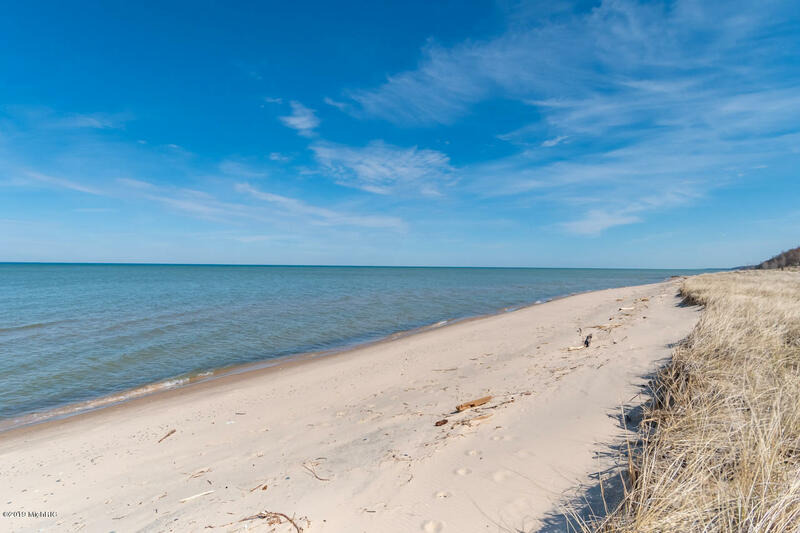 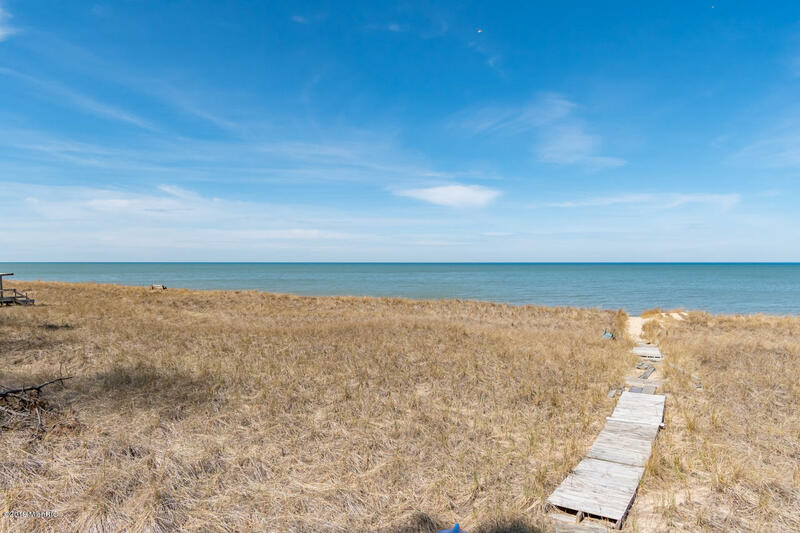 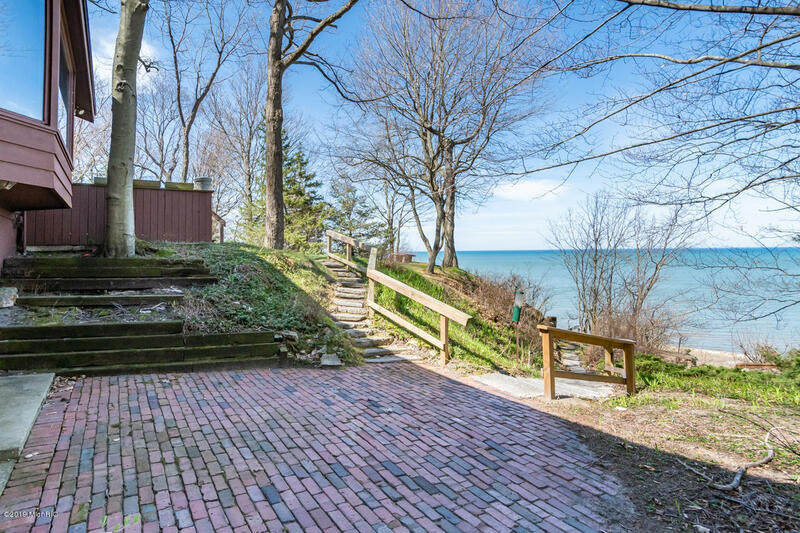 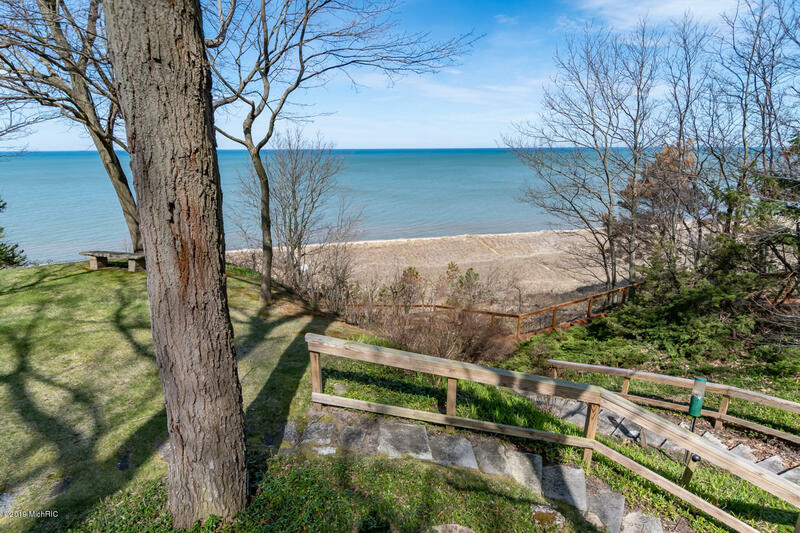 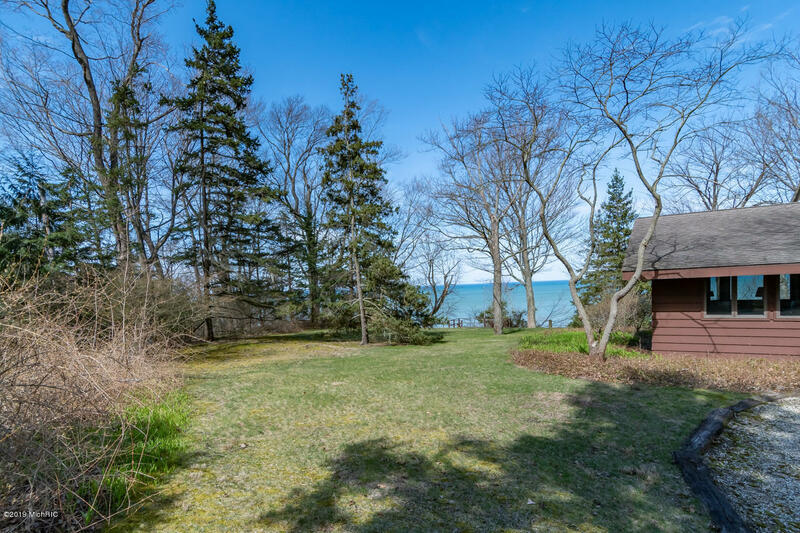 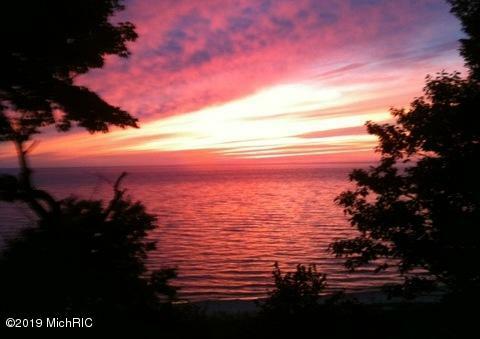 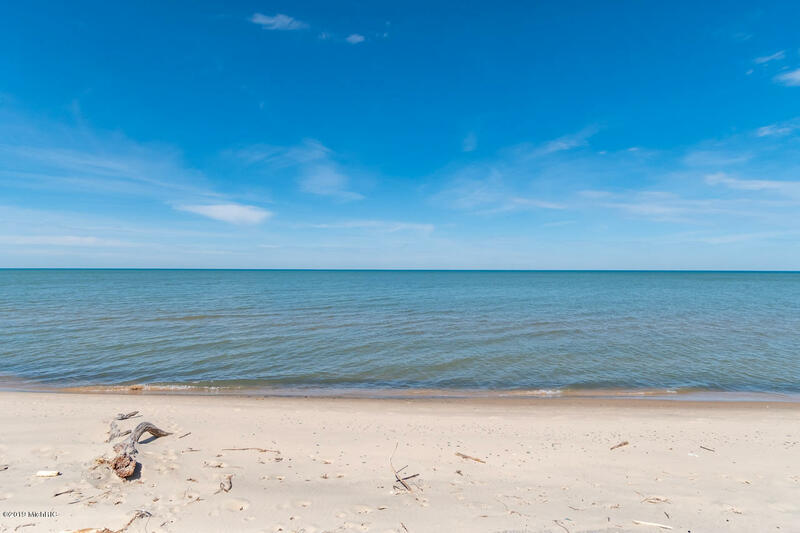 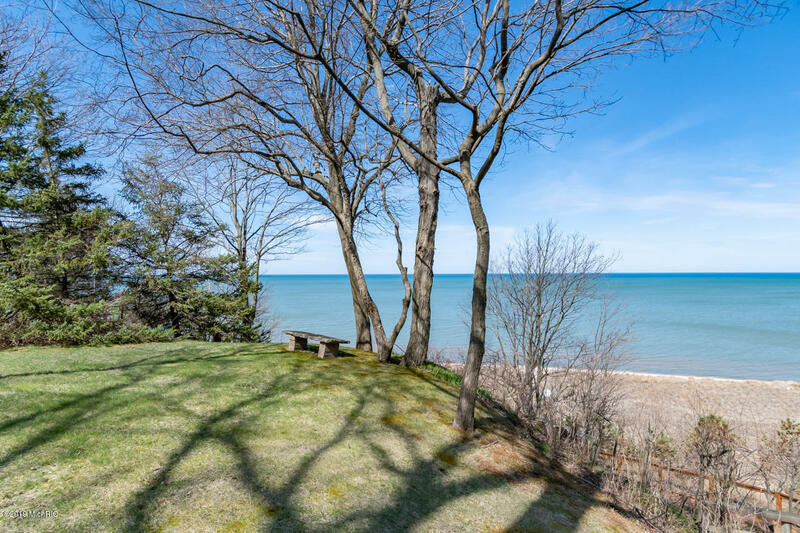 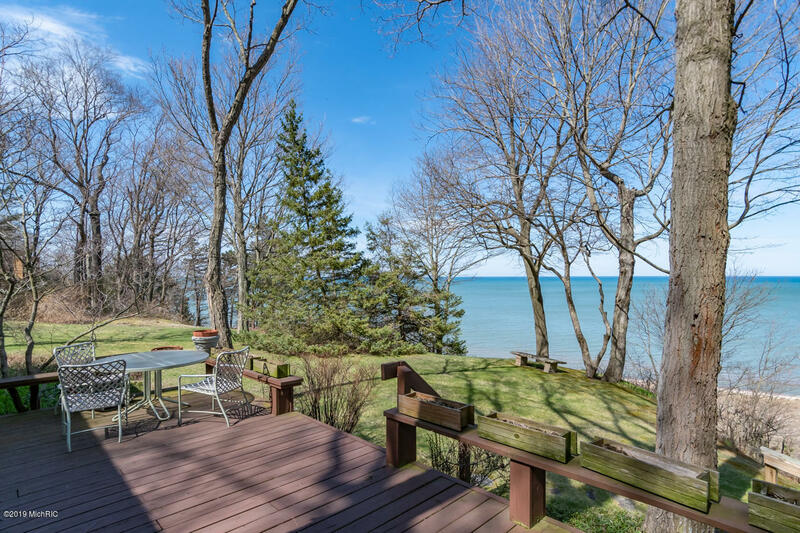 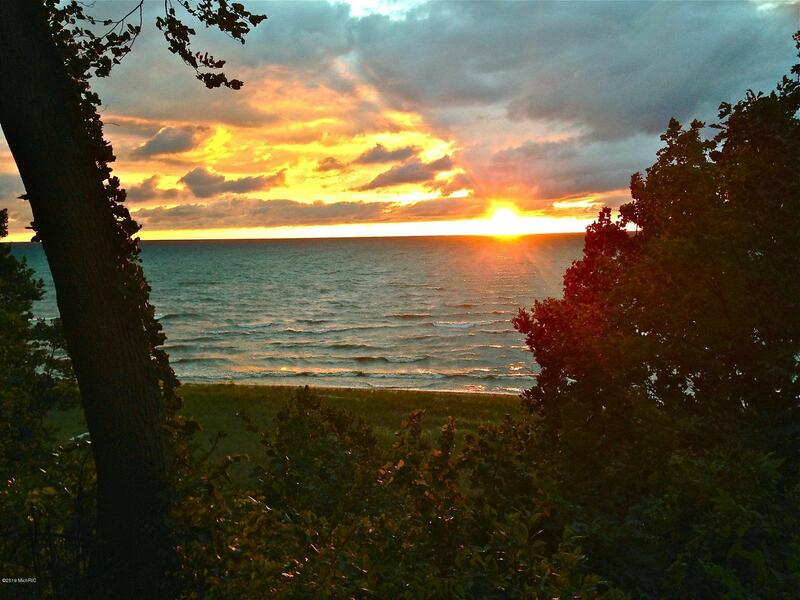 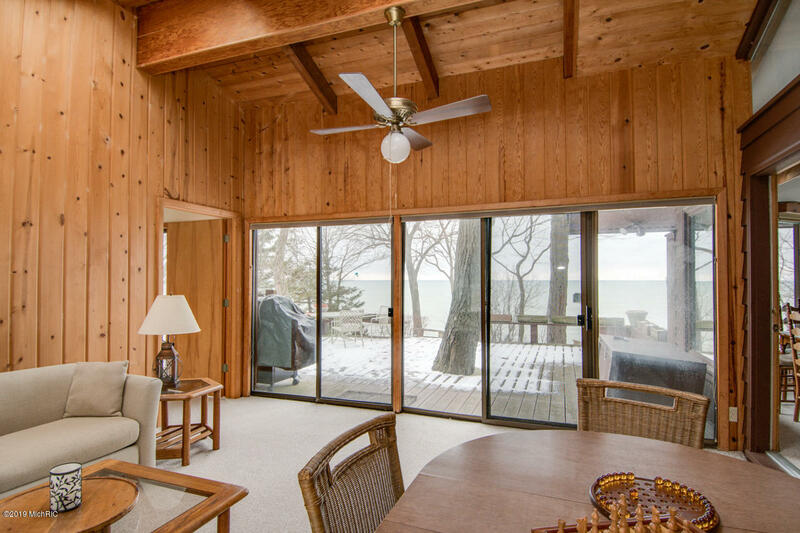 Full Description: Magnificent Lake Michigan Waterfront Retreat with 170' frontage, 2.6 acres in secluded setting on a low bluff & steps to private, wide sandy beach. 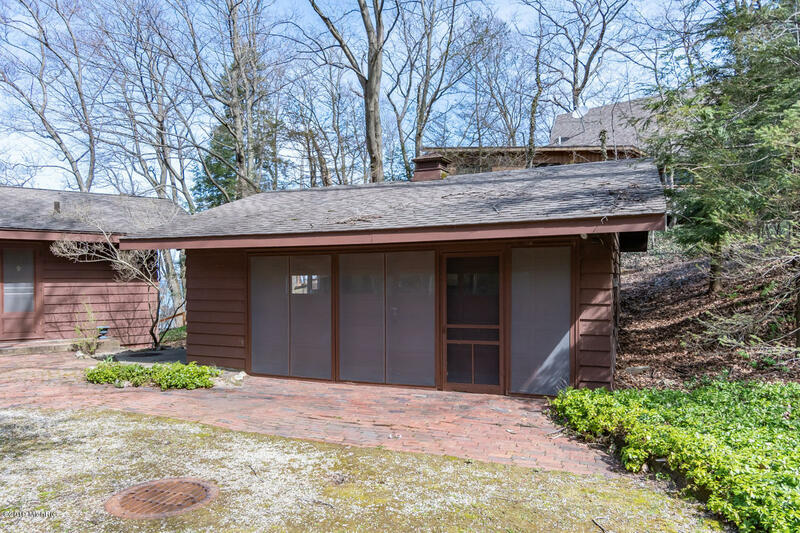 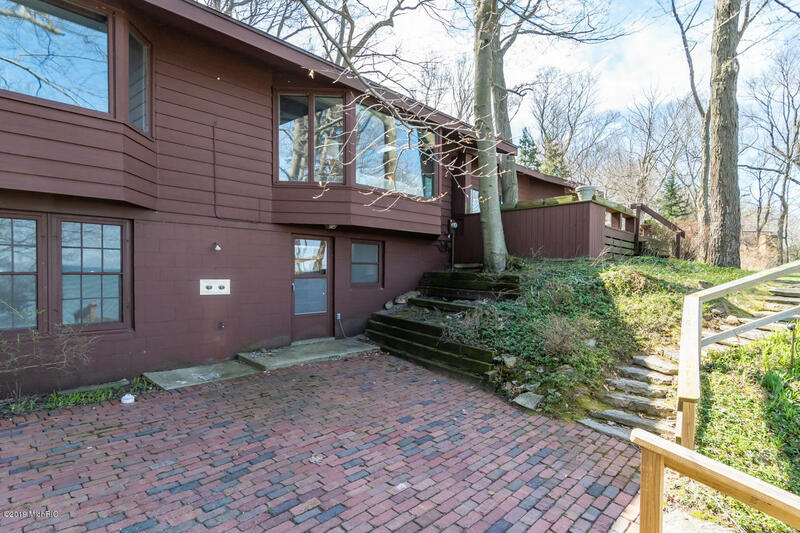 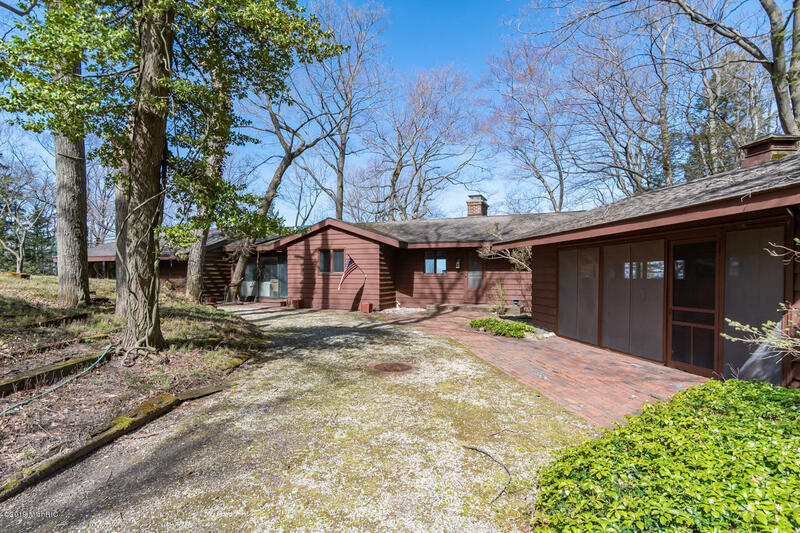 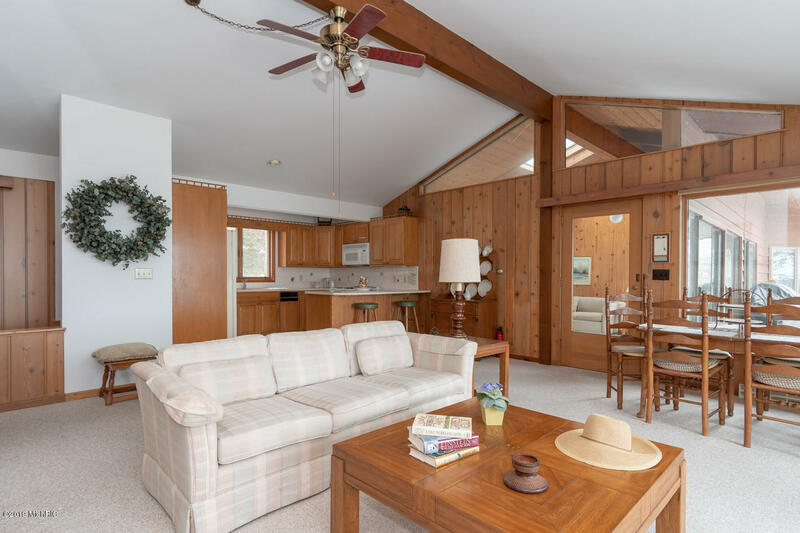 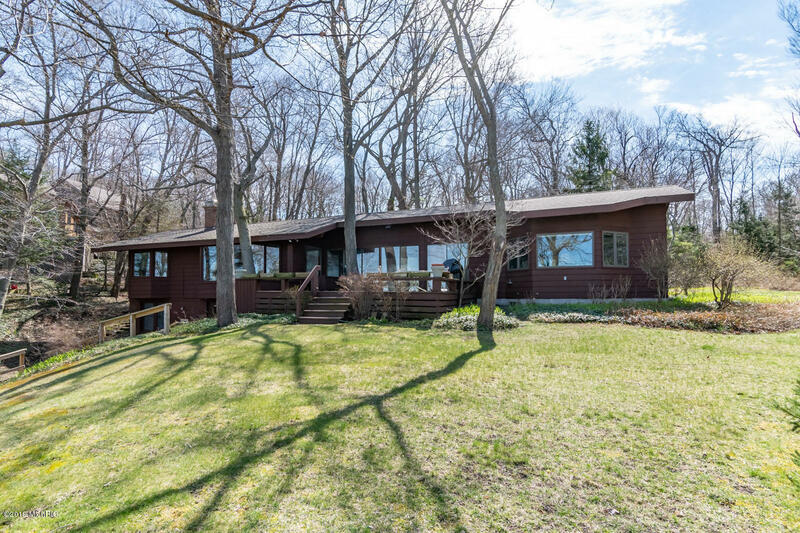 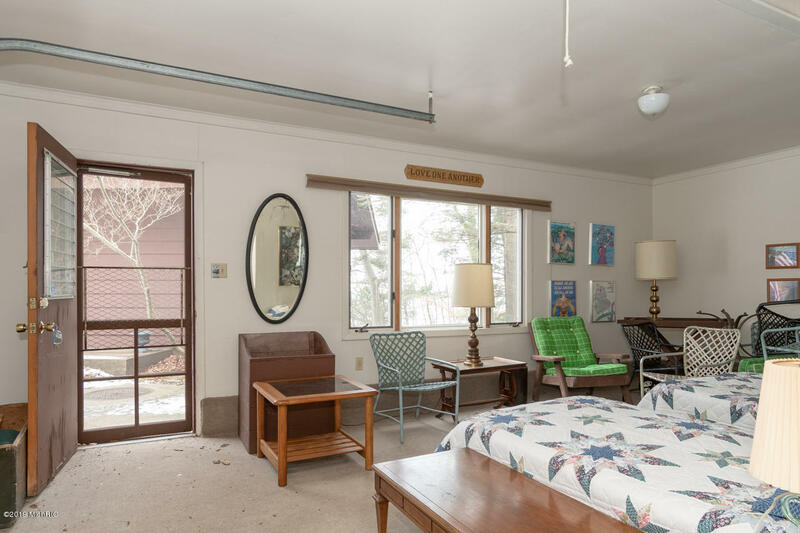 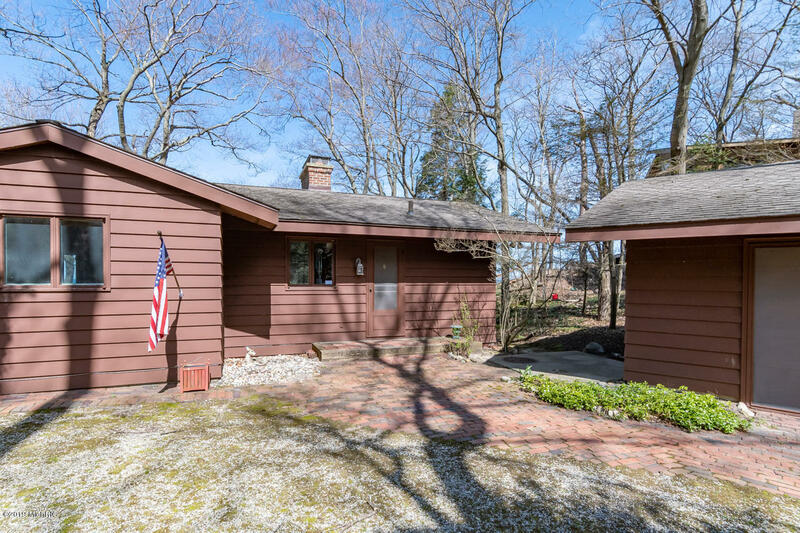 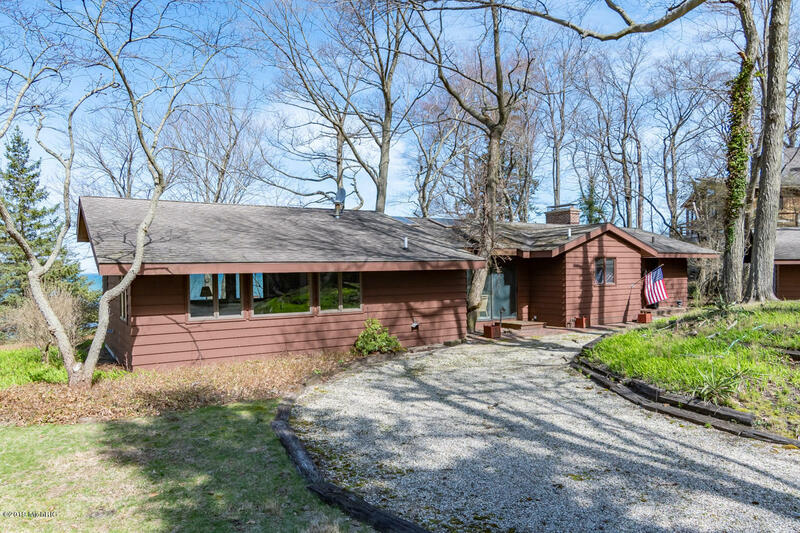 Follow a winding road through the woods to this mid-century modern walkout ranch with 4 bedrooms 3 full baths, outdoor shower & guest house all with panoramic lake views throughout. 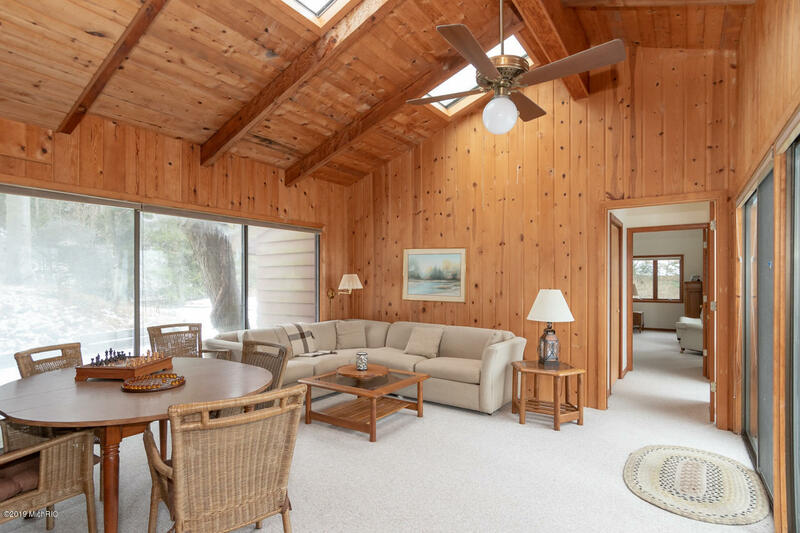 The open floor plan features cathedral ceilings, walls of windows, skylights, solid woodwork, masonry fireplace & plenty of storage.Catch breathtaking sunsets while dining on the expansive deck equipped with a gas line for the grill. 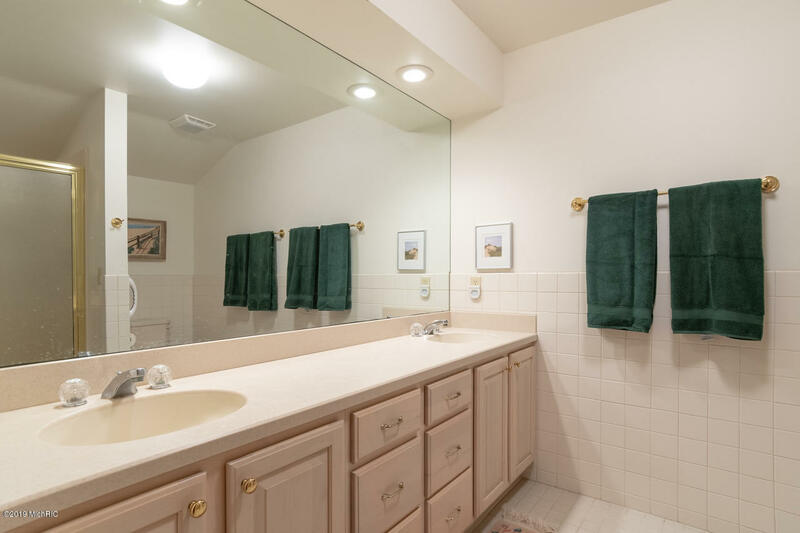 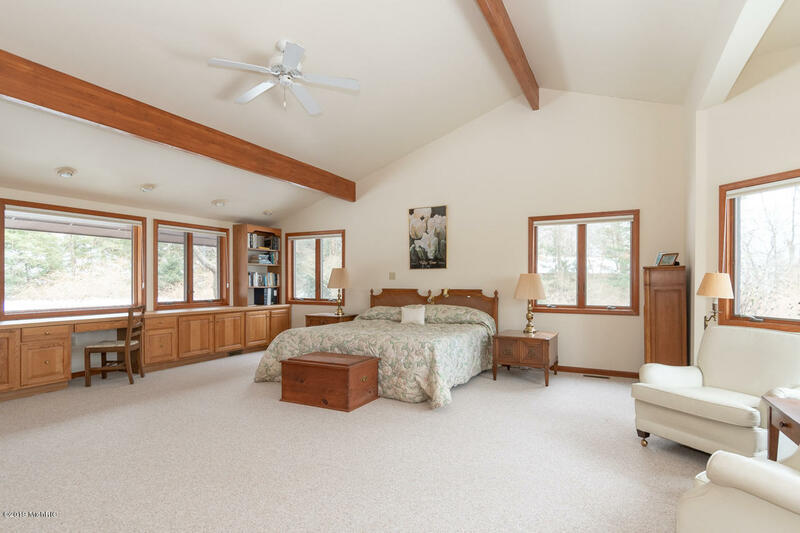 The main floor features a huge newer master suite addition with abundant custom built-ins, walk-in closet & beautiful bath. 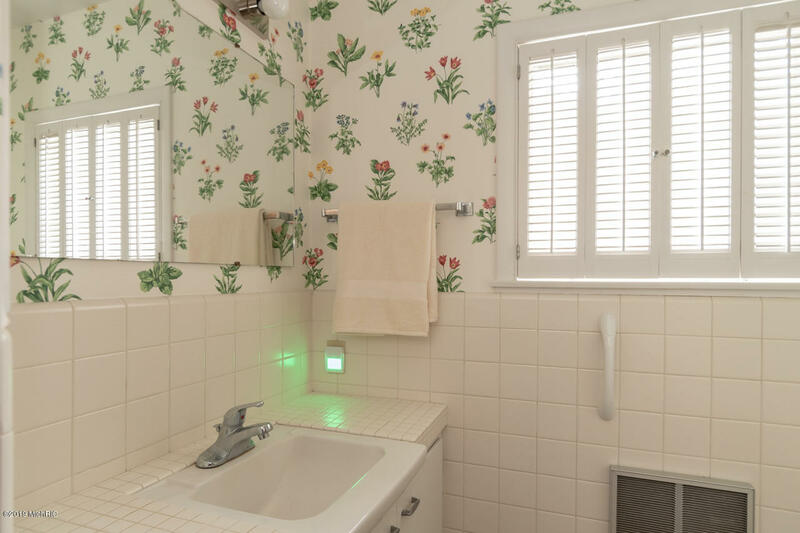 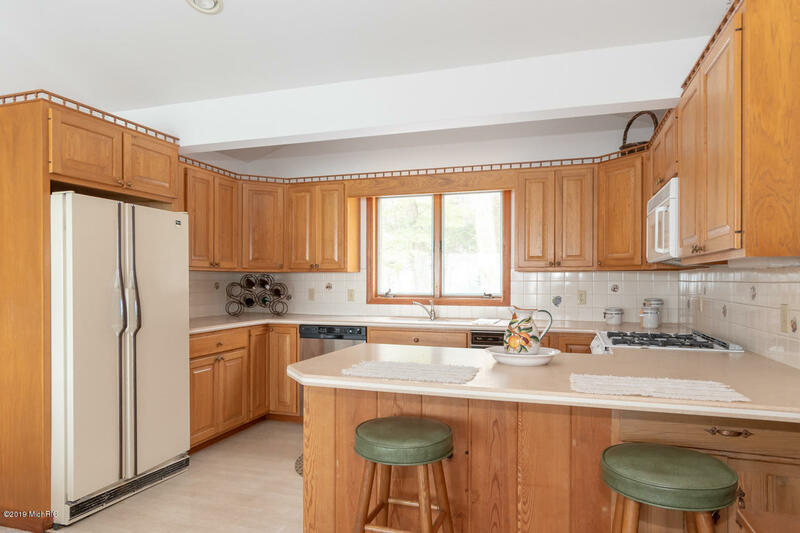 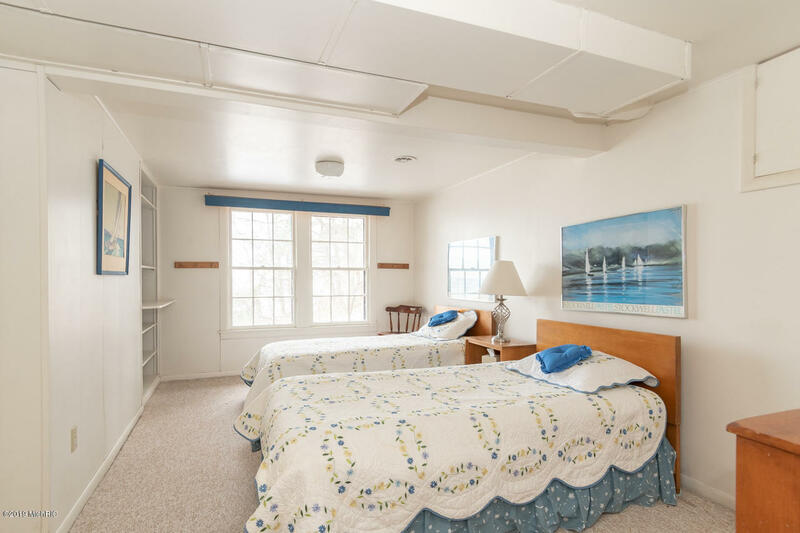 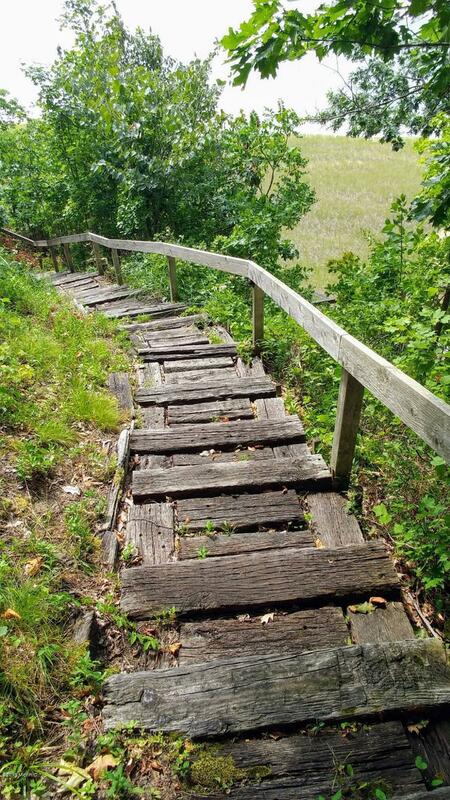 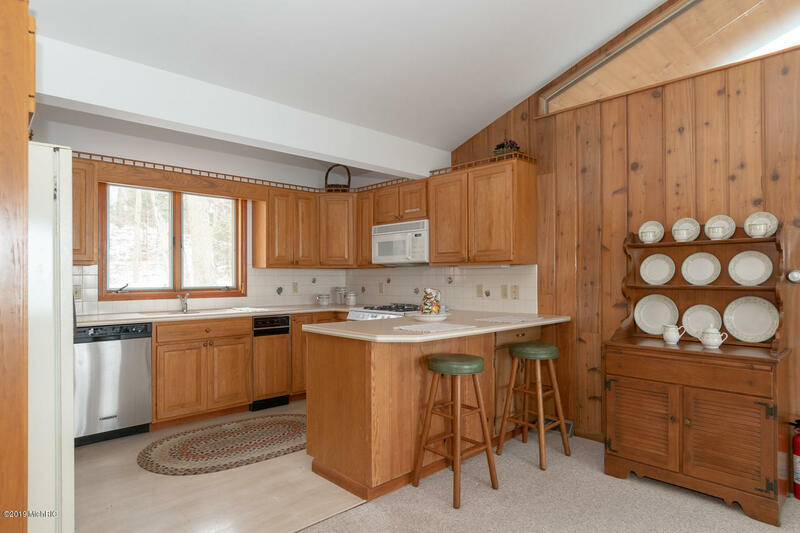 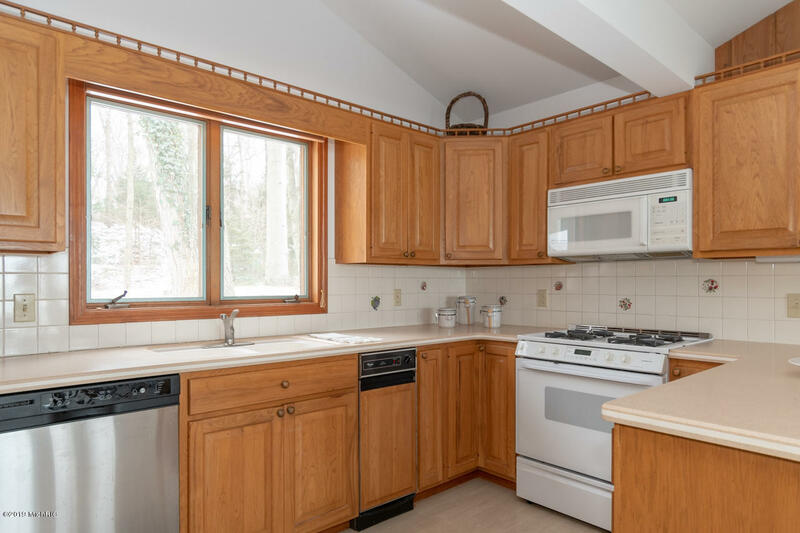 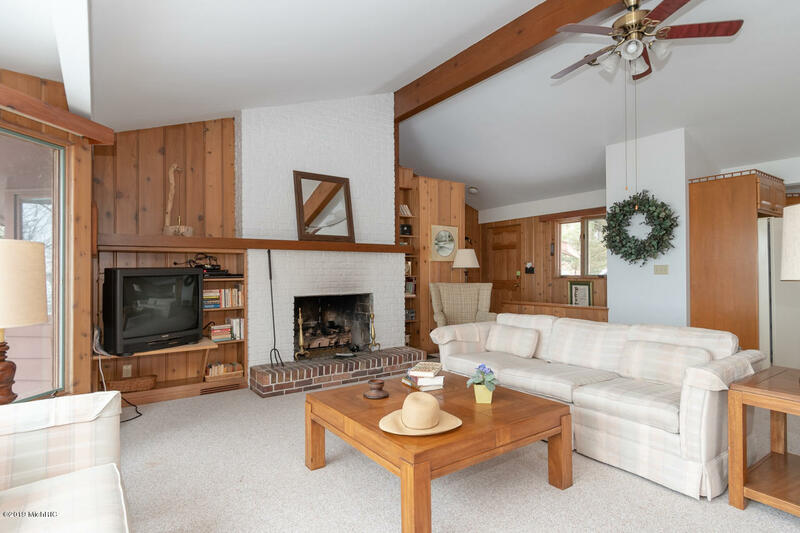 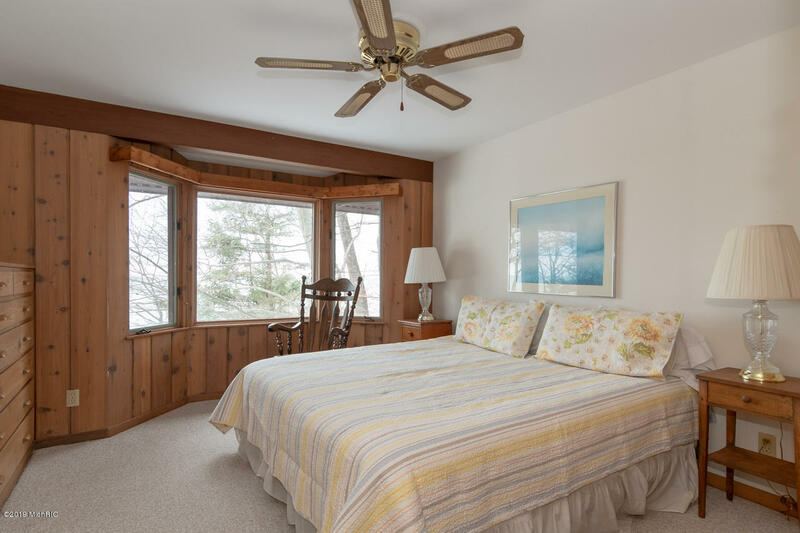 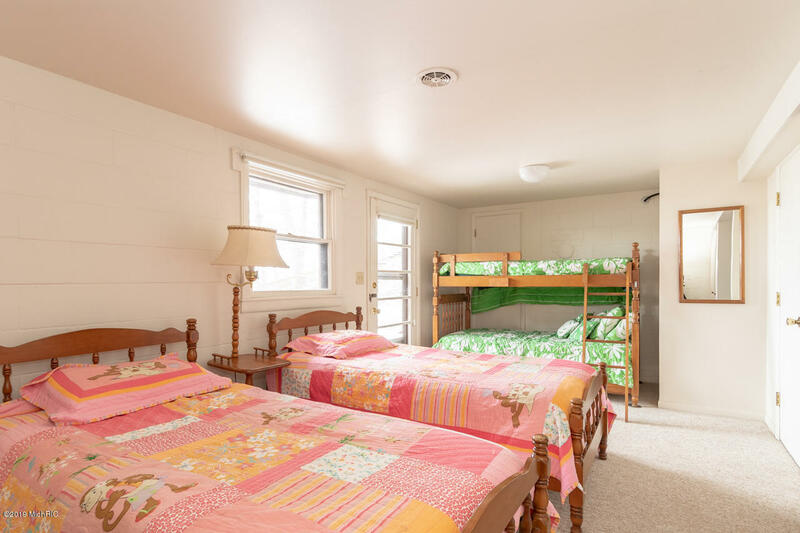 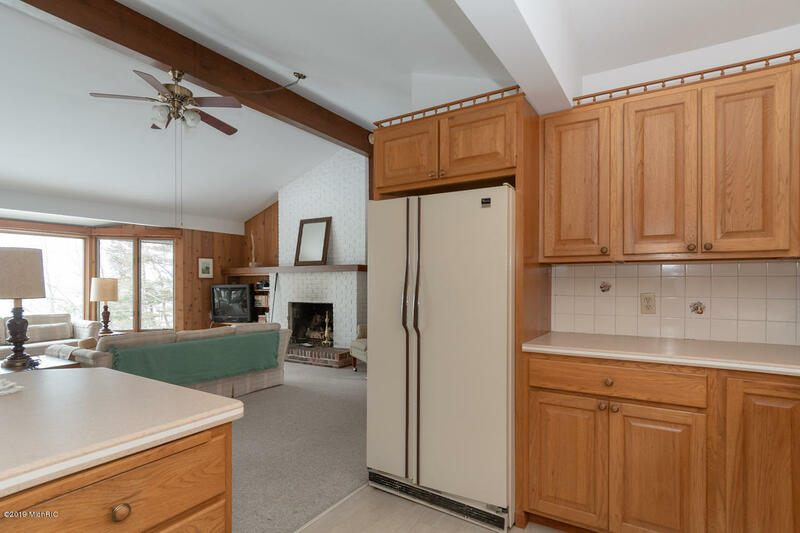 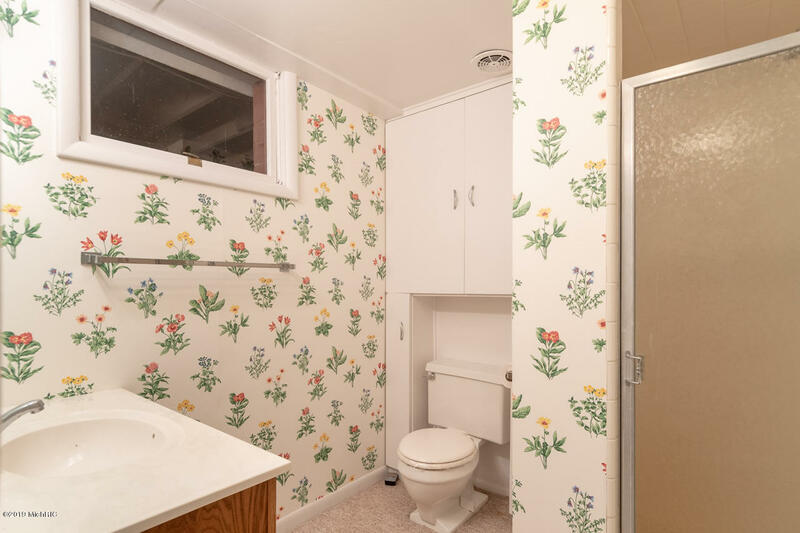 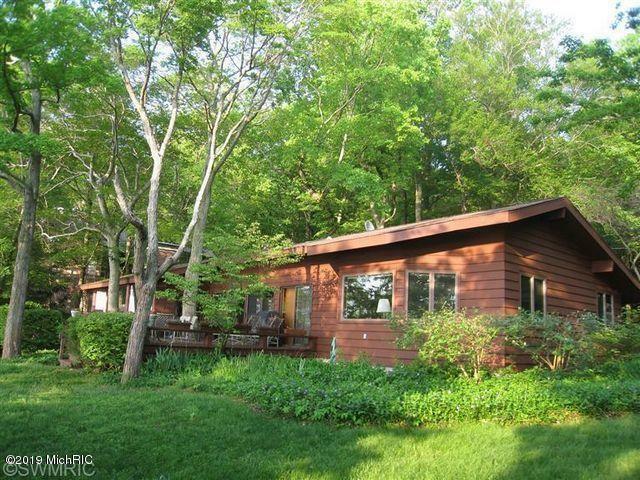 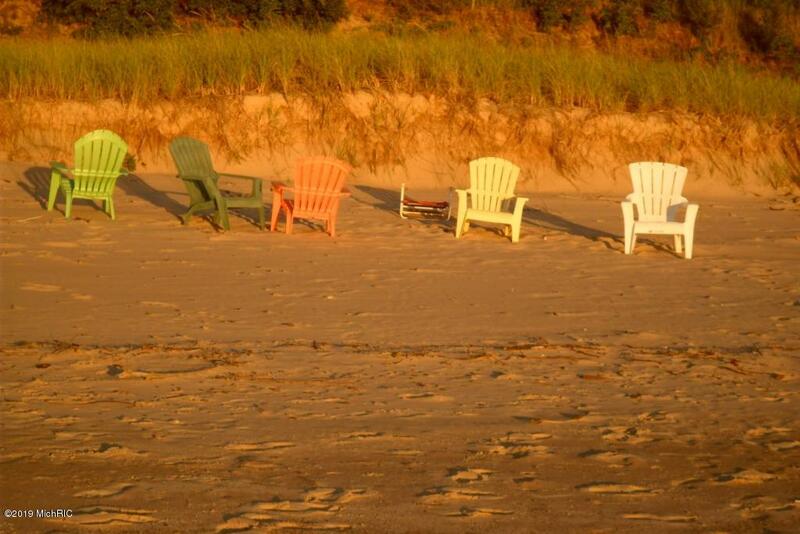 This well maintained gem has had only 2 owners and used by the same family as a getaway for the past 43 years.